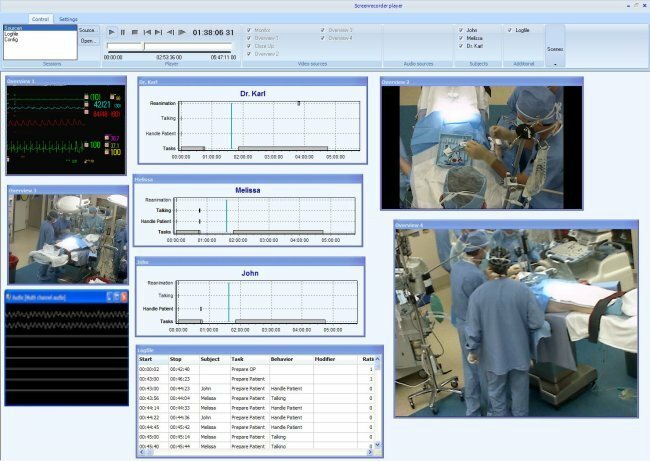 Synchronized media recording and playback of DVI, VGA, HDMI, video, audio and other analog and digital signals for applications like Training & Simulation (after action review), video wall recording, color pixel detection and control center surveillance. If you want to record any kind of VGA, DVI or HDMI signal (computer monitor, radar, PDAs, consoles) in the best possible quality, the Media Recorder is the right tool to do that. In addition to a VGA signal, you can record video, audio and other signals perfectly synchronized. 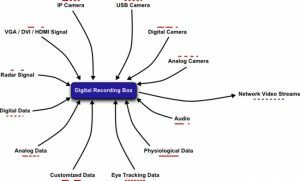 The Media Recorder is a stand alone device that can be used to record any kind of observational scenario, usability test or training and simulation scenario. It can be remotel controlled over ethernet. It can also be used as a permanent 24/7 documentation tool (e. g. for video wall recording and control room surveillance). No software installation is required on the device you want to record. All VGA and video signals are recorded separately in the original resolution. Videos can be streamed instantly back into the network. Even while recording goes on. Thus with the Media Recorder you can watch your recordings live and wherever you are. All recorded data are in sync. After recording, the files can be automatically transferred to other computers or network storage devices. During recording or replay all media can be streamed to the local network or an address in the WWW. Thus you can invite persons to attend your test sessions anywhere in the world. 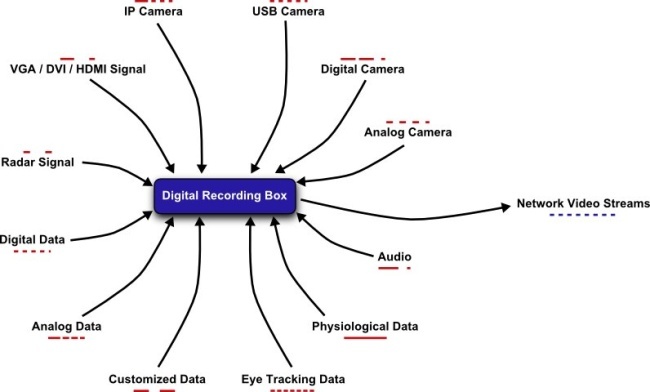 In combination with our Spectator software for observational data acquisition & analysis, this system can be used to acquire and analyze observational data of the participants. All signals are saved in separate files and their (possibly) different timestamps are synchronized. It is also possible to save audio files as integrated soundtracks in the video files. The Media Recorder is a high-quality device that offers best quality results and great flexibility for synchronized media recording.